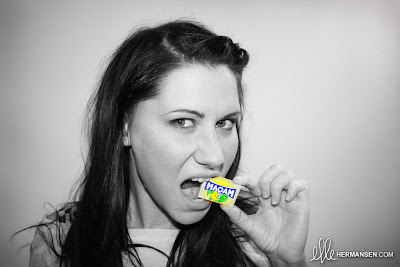 ellehermansen: Dear Maoam, Shall I Chew You Out? 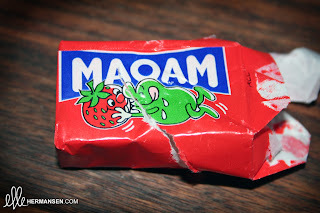 Today I was really searching for my Fruitella fix ( I only like the strawberry kind) - and as I couldn't find them at this particular store, I opted to "settle" for these Maoam chewy treats. 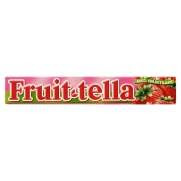 Well, I was in for a treat when it seemed that I unwrapped my invitation to a kamasutra-styled fruitful party! First of all; what type of character is that green guy on every package and why does he feel the need to party it up with lemons? They probably have mental breakdowns, as they are emotional basket cases anyways.